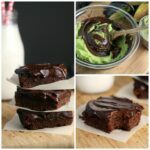 Turtle Brownies - Frugal Mom Eh! 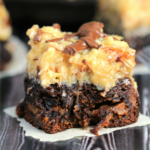 A super decadent dessert, these Turtle Brownies are layered with caramel sauce, pecans and finished off with a drizzle of melted chocolate. 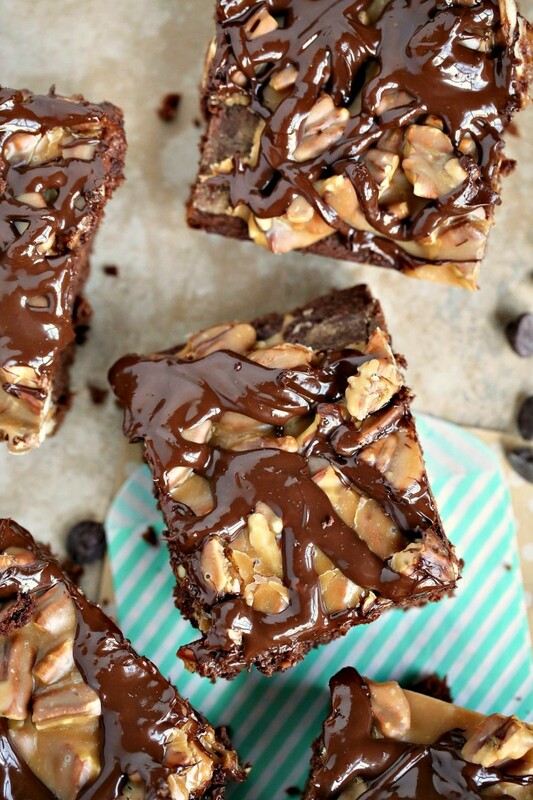 Do brownies really get any better than this? 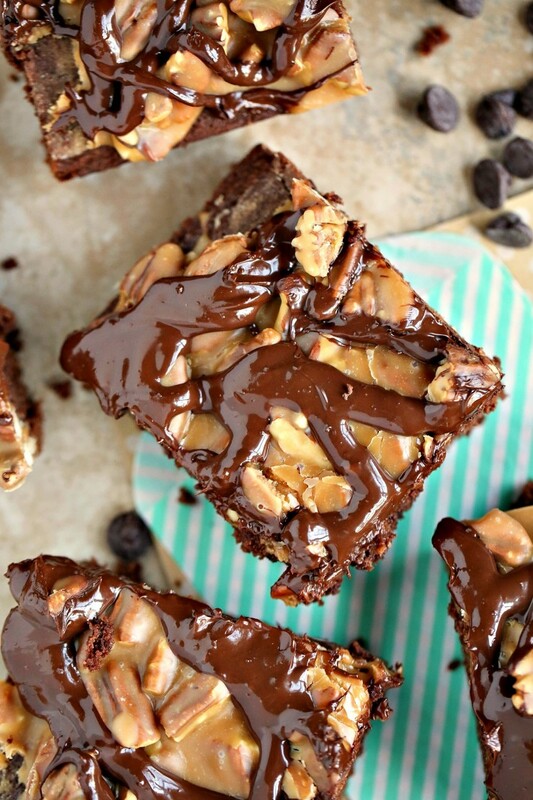 Prepare brownies as directed and allow to cool. Boil 1 cup sugar with water and salt in a saucepan over medium-high heat, without stirring, until it turns amber. Remove from heat and slowly add the cream, stirring constantly until combined. Stir in pecans and pour over the prepared brownie. Let cool, about 15 minutes. Melt chocolate in the microwave, about 2 mins, stirring half way through. 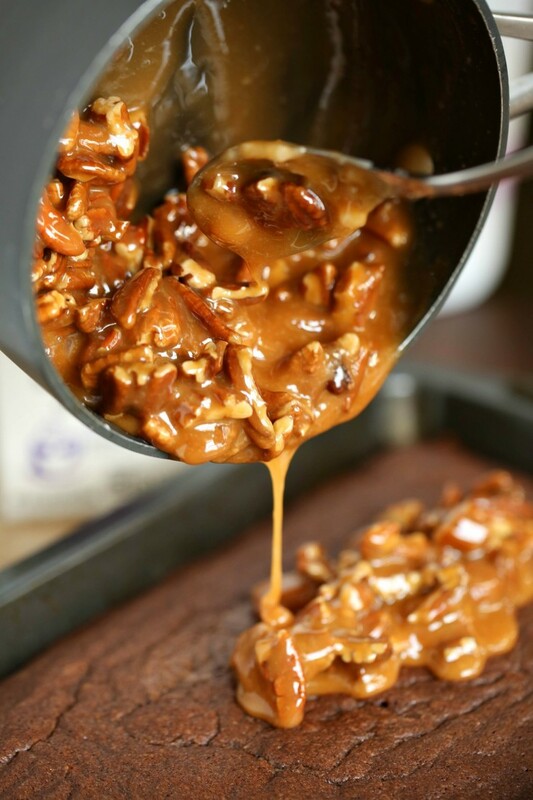 Stir until smooth and drizzle over the caramel layer. 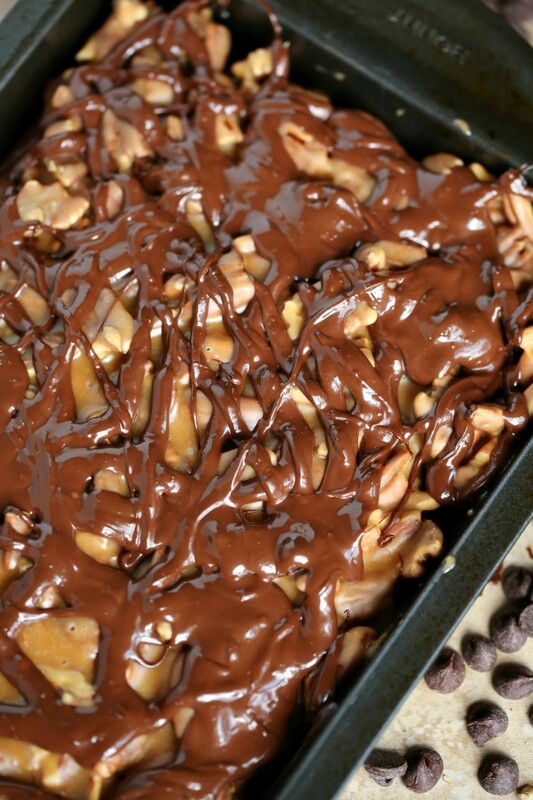 …might have to fit in this little beauty of a recipe into my holiday baking! Oh, I so need to make these!! 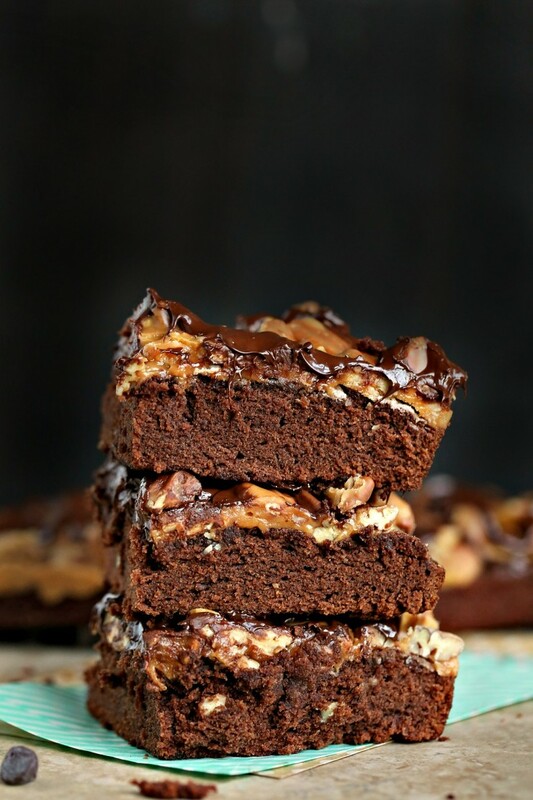 I think these need to be made this weekend, it is holiday so calories don’t count right? omg!! pinned I have to make these! 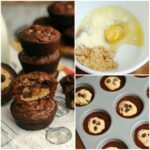 These look so awesome, these would make an awesome treat!! 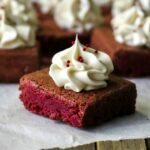 Everything in this recipe calls out to me. I would love to try making it.